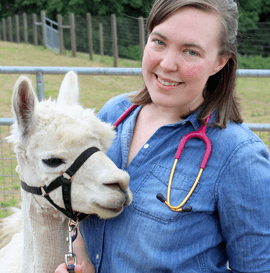 Dr. Leavitt grew up in Sherwood and graduated from Oregon State University College of Veterinary Medicine in 2018. Professionally she enjoys working with companion animals and livestock. Dr. Leavitt loves to travel and previously served as a Peace Corps Volunteer in Madagascar. In her free time, she enjoys hiking, knitting, and volunteering. She and her partner share their home with an adopted rabbit named Dash.